A man punished a rat for chewing his phone charger. 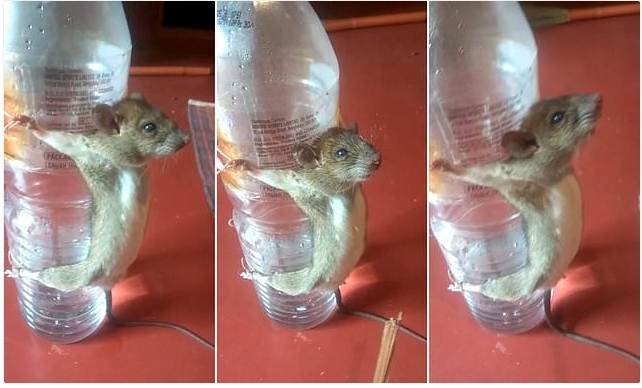 In a video that went viral, a man from India strung up a rat to a plastic water bottle, exposing his belly out for the beatings he administered on it. The man kept on beating the rat on the head and belly, while asking it why he chewed his cord.